Every year before Christmas I spend a short week somewhere really bleak and miserable. 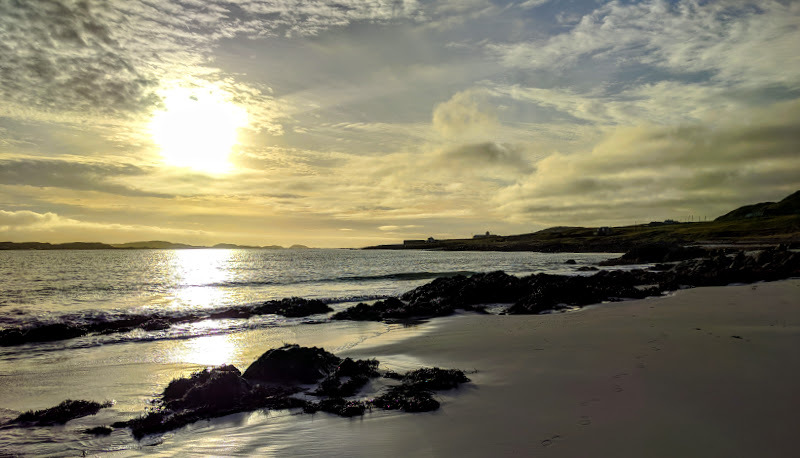 This year it’s Iona, a small island off the coast off a bigger island off the coast of Scotland. 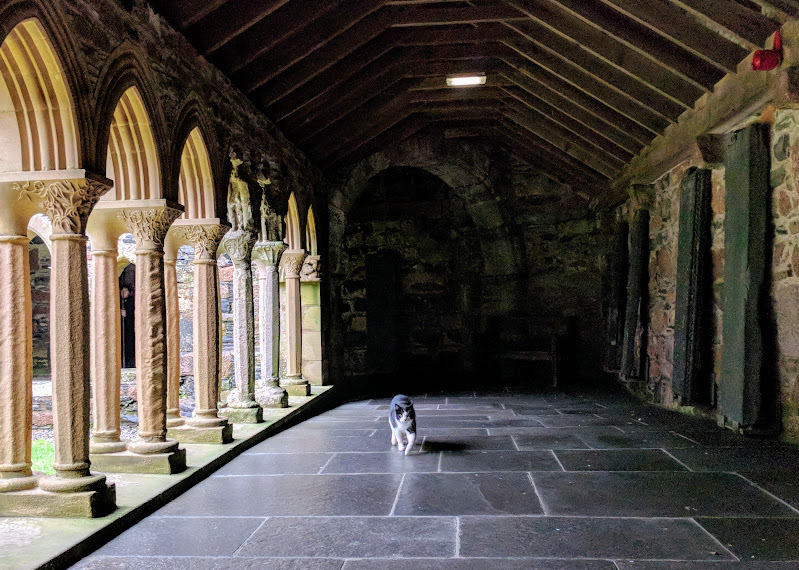 Iona’s mainly known as being the home of the Celtic Christian church — Columba, on being exiled from Ireland in about 563 (after illegally copying a book and escalating the resulting dispute into a pitched battle which killed 3000 people, so making him the patron saint of software pirates) landed on Iona and found the abbey there. 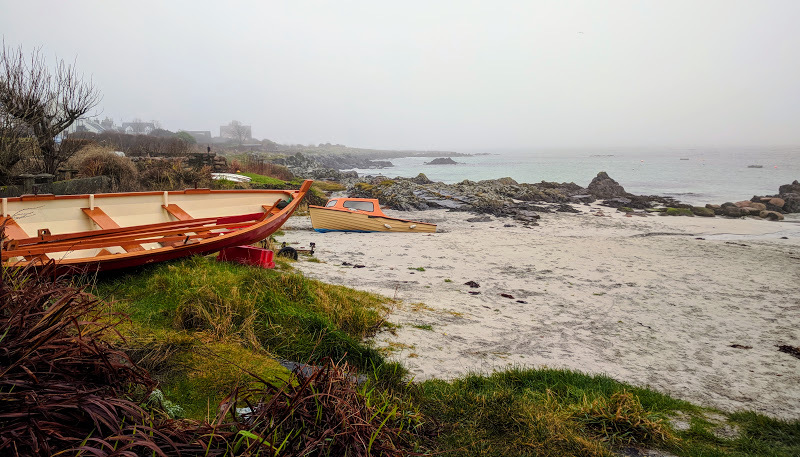 It’s still being used today, and there’s a nunnery too (now ruined); and the Book of Kells was finished at Iona; it was a major Celtic centre and was very influential for, maybe, a thousand years. These days there’s only a couple of hundred full-time residents, mostly milking tourists. The abbey still runs although I don’t believe it’s a formal religious centre. Well worth a visit, though, as it’s beautiful. 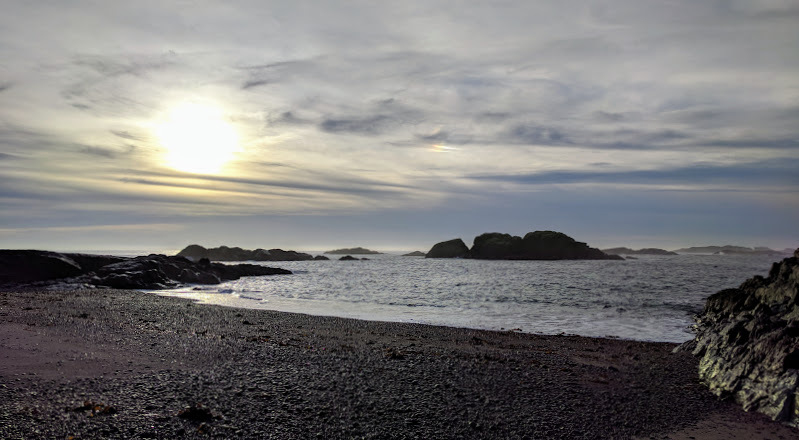 The place is covered with Celtic high crosses, strange symbols inscribed on the hillside, some amazing beaches, and an incredible amount of bog. 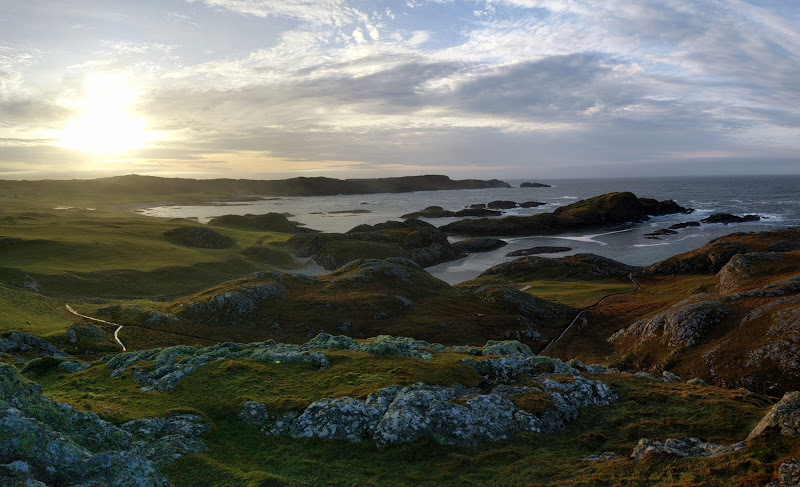 Looking down over the west coast of Iona and The Bay At The Back of the Ocean (also known on the maps as Camas Cuil an t-Saimh). 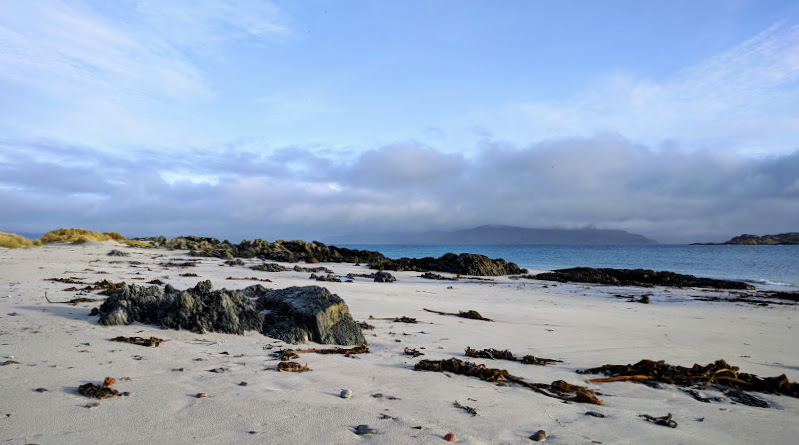 Iona has amazing beaches. This one is on the north-east of the island, looking at at Mull in the background. Iona's main street and ferry port. 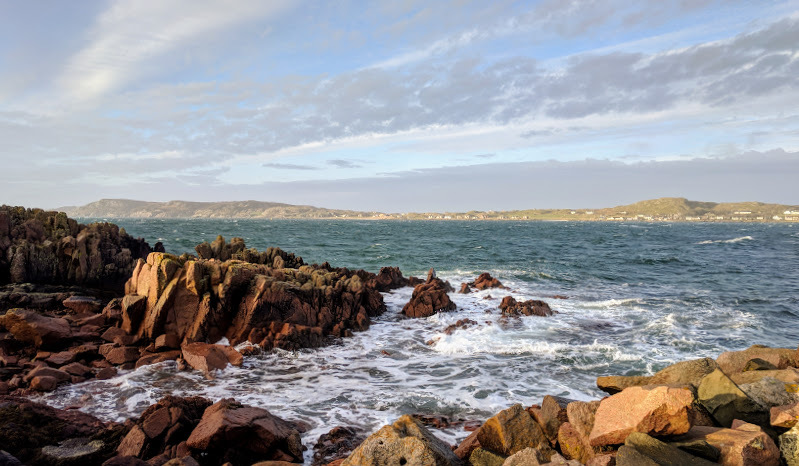 Rocky islets off the west coast of Iona. 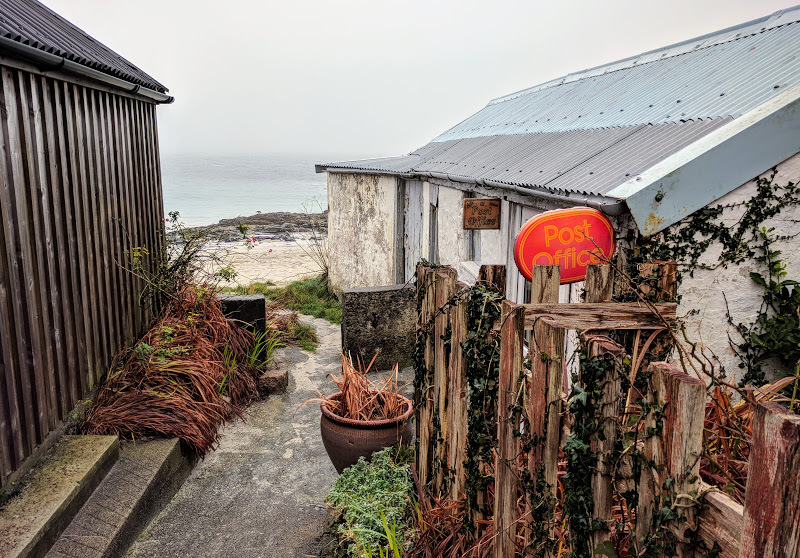 The bigger islands of Coll and Tiree are invisible in the mist. Not all the beaches are sand. This pebble beach at the south tip of the island is were Columba was alleged to have landed after leaving Ireland. The bustling metropolis of Iona's business district. On the mainland, Loch Poit na h-I oozes celtic twee and sphagnum-based mud in equal quantities. Looking out at Iona from Fionnphort ferry terminal.